We create community through world-class content. Let’s fly over Washington. From Puget Sound’s oysters, to Seattle’s high-tech incubator engine and out to its tallest peak, Mount Rainier, to Methow Valley’s Nordic mecca, and Walla Walla Valley’s elegant wines, Bellingham’s Ski to Sea challenge and Spokane’s massive athletic events, the Evergreen State packs a lifetime of intrigue and inspires exploration. We are hop growers, wine drinkers, Sound paddlers, skiers, shellfish lovers and coffee addicts. 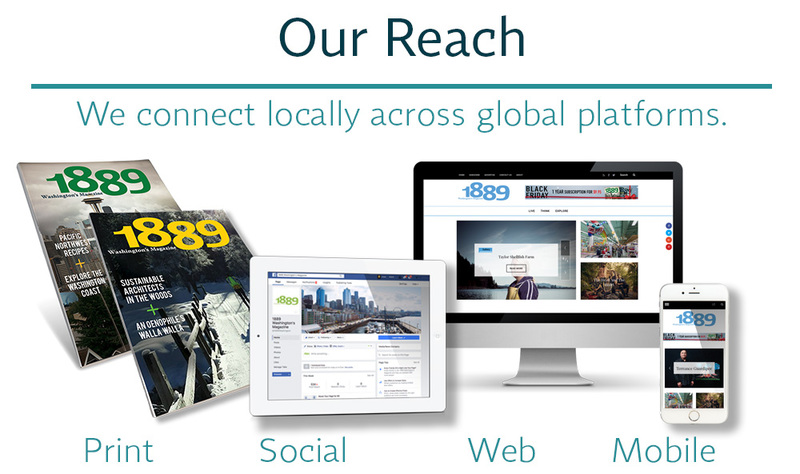 Join the 1889 community on social media.